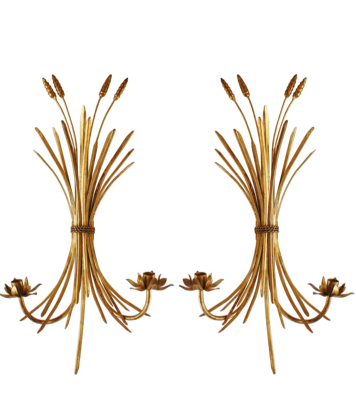 Who doesn't love a good classic pair of wheat sheaf sconces? I scored my own pair of wheat sconces a couple of years ago and I love them. 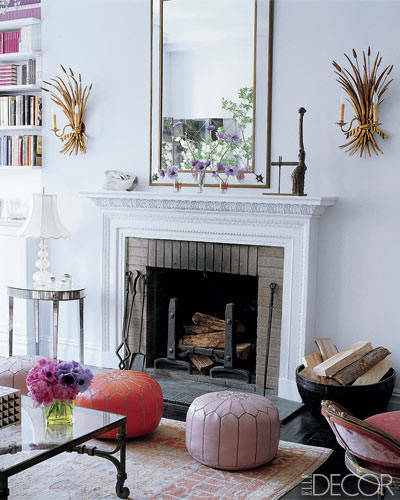 They flank a large mirror above my fireplace and I don't think I'll ever tire of the look. So being such a fan, I was thrilled to see that High Street Market has started making their own version of this vintage staple. 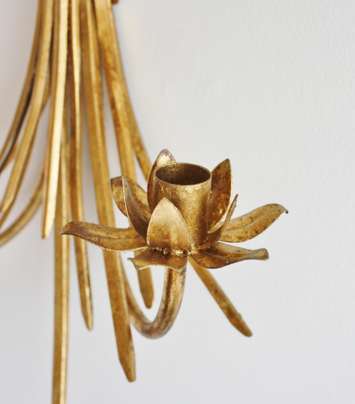 Hunting for wheat sconces on ebay and Etsy is always an option but if you just don't have the energy or you are not having good luck, I'm really loving HSM's version - they are perfect in color, size, detail, etc. A pair of these sconces would be such a worthwhile investment. 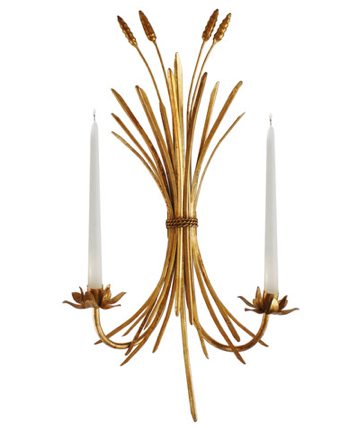 Sculptural sconces will forever be in style and I think the wheat motif is timeless. Perfect item to add to your Christmas list, perhaps? They are perfect Daniela! being from Kansas , the wheat sconces would be forever classic. Thank you for the info! Love these! I actually spent hours online yesterday looking for some to add to my Christmas wish list. I really think I need glass hurricanes with three kids + guests to worry about. Any chance you have a good lead on some? The ones in the first image are electric, no? I wonder if the High Street ones could be electrified? I wouldn't really want to use candles....But they ARE gorgeous!